In part 35 of our 989 part retrospective series, we take a look at relief pitcher Mark DiFelice. You gotta love when perseverance pays off. We've all heard the stories - the ones about a player spending 10 and 12 years bumming around the minors - crappy pay, crappy hotels, crappy bus rides - all for the chance to be reach the Show. Mark DiFelice is one of those stories - albeit with a rather abrupt ending. The right handed throwing DiFelice was born in Pennsylvania in 1976. He attended Western Carolina University and was selected by the Rockies in the 1998 amateur draft in the 15th round. DiFelice was classic organizational fodder. He didn’t really stand out in any fashion other than displaying low walk rates throughout his career. He put up solid numbers, but nothing eye-popping. He also was prone to giving up HRs - a bugaboo that would haunt him much of his career. DiFelice would eventually stall out at AAA, putting up poor numbers. The Rockies released him in 2004, and he would spend the year at AAA with Baltimore, putting up decent, but not great, numbers. His journey would continue the next few years with stints with the Nationals, independent ball (the Atlantic League) and eventually the Mexican League. Following the 2006 season, the 30-year old DiFelice was signed by Milwaukee. He would have an outstanding year between AA and AAA, throwing 124.2 innings and producing a 2.31 ERA. DiFelice began the 2008 season at AAA Huntsville, but was called up the big leagues on May 15. He was a 31-year old rookie. While he had been a starter most of his career, the Brewers used DeFelice strictly as a reliever (he would never start a game in the majors). In 2008, he would appear in 15 games and produce a sparkling 2.84 ERA, striking out 20 batters in only 19 innings. What was fascinating about Mark DiFelice was that he managed to succeed with only one pitch - a slow (he generally worked 80-84 mph) cut fastball. 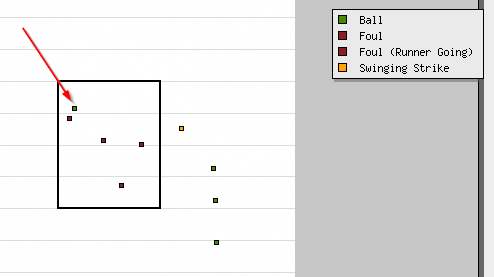 The pitch absolutely made right handed hitters look like idiots. 2009 would be DiFelice’s high water mark. He pitched for Italy in the World Baseball Classic that spring, then was outstanding for Milwaukee in the first half of the year, producing a 1.83 ERA prior to the All-Star break. But the second half of the season would be a disaster, and many wondered if something was wrong. Indeed, after the year DiFelice had shoulder surgery to repair a torn labrum and rotator cuff. For the year, he would throw 51.2 innings and produce a solid 3.66 ERA. DiFelice would miss all of 2010 rehabbing. In 2011, he came back to Milwaukee on a minor league deal, and managed only 3 innings at the big league level (along with 29 at AAA). Now 35, the Brewers released DiFelice after the season. He would play 10 games in the Italian League the next season, but his days as a player were done. After retiring, DiFelice joined the Pirates organization as a pitching coach in 2014. He is currently the West Virginia Black Bears Pitching Coach in the New York Penn League. DiFelice was also famous for his role as the clubhouse barber wherever he played, skills he picked up from his grandmother and aunt. Ultimately, Mark DiFelice may have been a one trick pony, but hey, he road that pony to majors, going through a lot of hoops to make it happen. Sadly, injuries cut short his career - but it's not hard to imagine a guy like DiFelice bouncing around the league for years - perhaps even now, at age 39, as the 'ultimate roogy." Please share your memories of former Brewer reliever Mark DiFelice. I was a big fan of DiFelice. He would be my professional baseball player twin. We both are guys who don't throw hard or have amazing stuff but throw strikes. The cutter is also my best pitch. I wondered what happened with him. It seemed he just sort of disappeared. in this 2012 interview (http://www.baseballrimini.net/index.php?id=1407) he told "i am here (Rimini, Italy) to win, i want to develop my italian side, also getting to know my italian family which is from Teramo. There's plenty of baseball left in my tank, and in the 2009 World Baseball Classic i got to know italian baseball and i saw the level was good". He played really well for RImini Baseball indeed, altough the team was the losing finalist of both the Italian Championship and the Italian Cup. Don't know if he got to find his italian side though. I imagine that after the surgery his stuff just suffered a little. And his stuff was never good. Plus he was 35 - not like he was going to get better. Teams just probably saw a project that wasn't going to pay much - if any - dividends. But in that one year, he was really good for about 3-4 months. That cutter just had a little bit of movement as it got to the batter - just fooled them. There's one game of his I'll never forget, in 2009. In Chicago, bases loaded, 2 outs, 3-2 count tie game in extras. He threw a pitch belt high basically right down the middle, somehow called ball 4 by Bill Welke. One of the worst calls I've seen in my life. I remember that game well. Was screaming at my TV. And I believe in the top of the inning Corey Hart was called out on a pitch that was well off the plate. It's very rare that I will blame a loss almost solely on an umpire, but that was one of the worst I've ever seen. Mark will be the pitching coach for the Clinton LumberKings this season. Clinton visits Beloit and Appleton a couple of times this season. The best ever job of the people who play music at Miller Park : Playing Cheap Trick's "Dream Police" when DeFelice entered. Or was it "walk up" music he requested. Loved it. Zambrano knocked in the tying run off Jeff Poop-on. Kudos and thanks to reilly for this series. I love it every time, and it is a massive undertaking. Rarely do we get to witness an ongoing epic of this scale, but this is one of those times. I'm really looking forward to part 100 in the 647-1732 part series that may or may not occur by opening day of 2030. A historian's job is never done!